It is a rough day when you want to start a new research on your old machine and try installing an old OS like XP and suddenly your world come crushing as no websites are being opened up in the Internet Browser. The story started when today I tried to open google.co.in on my Internet Browser on this freshly prepared old machine ( I minted an HP Compaq Presario V200, bought in 2004, with Windows XP, a genuine copy of it!) The IE was not able to open any website. To my surprise, msn.com and bing.com were opening. I mean WTF! I somehow held to opinion to myself as my younger brother was scolded last night for not using abusive slangs. But comeon. WTF Actually! After, investigation and checking where my network is getting blocked (used fiddler and a network sniffer for the purpose), i found that its the strong security measures taken up by some sites that are blocking me launching those ones. The solution was to enable some settings in the Internet Options -> Advance Tab ->Security settings. So, in my case a missing TLS1.0 was the reason. Transport Layer Security (TLS) and its predecessor, Secure Sockets Layer (SSL), both frequently referred to as "SSL", are cryptographic protocols that provide communications security over a computer network. Nowadays, major websites use TLS to secure all communications between their servers and web browsers. The Transport Layer Security protocol aims primarily to provide privacy and data integrity between two communicating computer applications. The connection is private (or secure) because symmetric cryptography. The keys for this symmetric encryption are generated uniquely for each connection and are based on a shared secret negotiated at the start of the session (see TLS handshake protocol). Furthermore, if you are using TLS, the connection ensures integrity because each message transmitted includes a message integrity check using a message authentication code to prevent undetected loss or alteration of the data during transmission. Currently, a new 1.3 Transport Layer Security protocol is being drafted. And, going by the design and algorithms it has panelled in, I gurantee that there will be a number of websites that stand a chance to be blocked by standard webbrowsers. Its time when either webbrowser industry incorporates those supports fast or websites wait for some time to consume those super secure standards. In any ways, its nothing to panic. Rather, its a state to feel more secured. So coming back to my case, enabling the TLS 1.0 option and restarting my browser solved the issue. Ah! Issue solved. But Oh! Are Bing and MSN not that secured? Or, IE has a separate treatment for them? Folks, you know what such an informed cue means to geeks like you. Enjoy!! Answer: There is no official Quora APIs till date. Period. Yeah! however you can directly parse using URL injections. 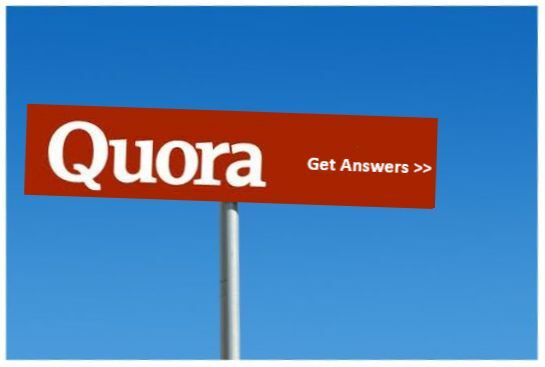 You can also understand it in a way that Quora has exposed a JSON-based data API that allows users to access data about a currently logged-in user. However, the power is very limited. And, that is why i referred to it as mere URL injections! You can also read about specific details on a Quora post itself. The only Quora API appears to be located at Quora Extension API by Edmond Lau on Edmond Lau's Posts. But, I have an advice for you all geeks. Use these hacks with caution. At the best, DO NOT try with your primary account. You shall also stand a chance to block your account. Afterall, Spamming is not good for health dear! *PS: This answer is also posted in an official Quora post itself.